Beunos Aires | Reuters – Argentina expects to export significant amounts of soymeal to China starting after the next harvest in May, a top agriculture ministry official said on Friday, as the South American grains powerhouse moves to take advantage of U.S.-China trade strife. Argentine officials were in Beijing on Friday finalizing the paperwork needed to ship the country’s livestock feed to China, ministry Chief of Staff Santiago del Solar said in an interview. The South American country is already the world’s top exporter of soymeal livestock feed. Beijing in June placed retaliatory tariffs on imports of U.S. soy, which may leave the massive Asian market open to new suppliers of soymeal feed needed to produce the steaks and hamburgers demanded by the country’s growing middle class. “If the U.S. shifts away from exporting soymeal to China, that’s an opportunity,” del Solar said. U.S. President Donald Trump said recently he expects more soy exports to go to Europe. 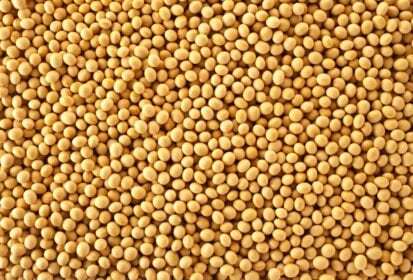 But del Solar downplayed worry that the United States will elbow Argentina out of its traditional soymeal markets like the European Union, Vietnam and Indonesia. “It’s not easy to shift from one market to another,” del Solar said, referring to the new trade routes that the United States may develop due the trade wars. Argentina, he said, is ready to compete thanks to its good export logistics. Eighty percent of Argentine soy is grown within 300 kilometers (186.41 miles) of the Rosario export hub, with its crushing plants and port facilities ready to take cargoes down the Parana River to the shipping lanes of the South Atlantic. “The Americans are leaving one market and going to another. But they are not going to double production,” del Solar said. If Beijing approves Argentina’s application this year, as expected, Argentina will have a limited amount of meal to immediately send to China due to the drought that hobbled the 2017/18 soy season. But del Solar said he expects farmers to increase plantings from the 17.1 million hectares sown with soy in the recently harvested 2017/18 crop year. “We expect farmers to plant more soybeans than last year. It’s going to be more,” de Solar said. Sowing starts in October. Argentina exported a total 28.3 million tonnes of soymeal in 2017, according to official data. About 33.4 percent, or 9.4 million tonnes, went to the EU. The next-biggest market was Vietnam, which imported 3.9 million tonnes of Argentina soymeal, and Indonesia, which bought 2.9 million tonnes. – Additional reporting by Maximilian Heath in Buenos Aires.